Class 8RH have been learning about instructional text during recent English lessons. We have found that words that describe time have an important role here. The pupils have also seen how bossy verbs are very good at making us do something! Different practical activities have been completed that require a set of instructions. Each class member has made a colourful rooster to help celebrate the Chinese New Year. A prepared set of instructions had to be followed to complete this task. Another exercise involved pupils sorting into the correct order instructions to wash an elephant. The Year 8 pupils were asked by class teacher Miss M to look out for some time words as clues. An example might be the word ‘finally.’ This would mean that this sentence must appear at the end of our instructions. 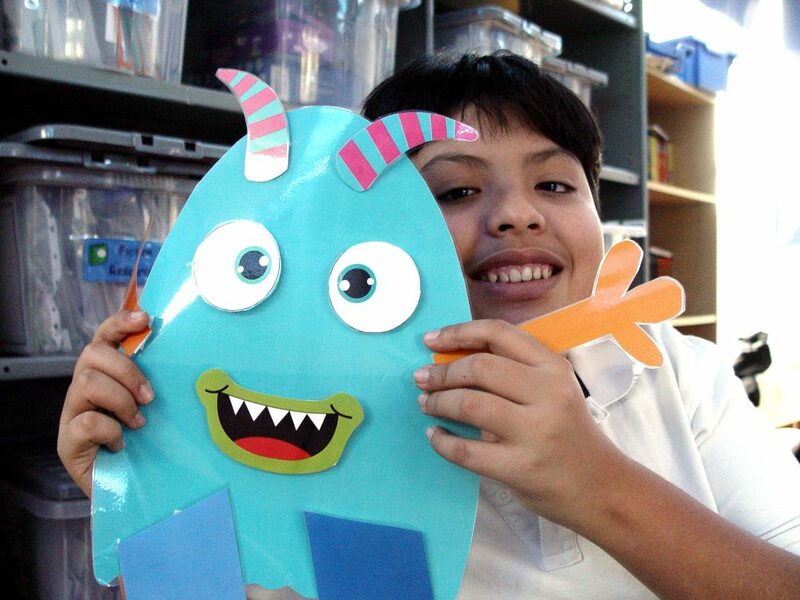 Another group completed an activity to build a friendly monster. The instructions included words that described the size, colour and various body parts. You can listen to a couple of the pupils reading out their instructions in the recording below.